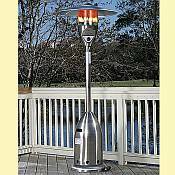 Propane Patio Heaters provide an inviting and comfortable environment for those with a passion for entertaining, cooking, and eating outdoors on the patio or deck. 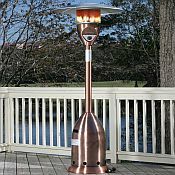 Any of our high quality and efficient Propane Patio Heaters will help warm up your outdoor spaces so you can enjoy the outside year round. 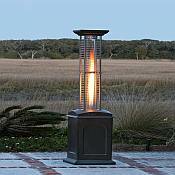 Don't let the weather dictate when you can enjoy the outdoors. 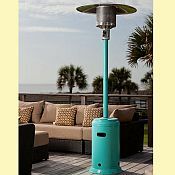 With a large selection of heaters to choose from, you can enjoy the outdoors under the cozy glow and comfort of a patio heater that will help warm even the chilliest of days or nights. 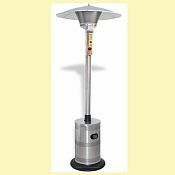 Safe, easy to use, and economical, propane patio heaters are the perfect solution for those who enjoy outdoor gatherings with friends and family. 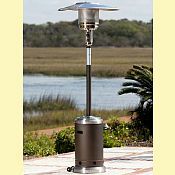 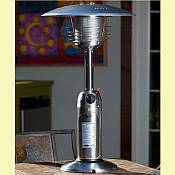 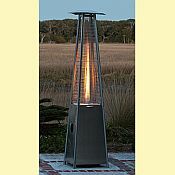 The Propane Patio Heaters we offer are created by leading designers of contemporary garden and outdoor lifestyle accessories. 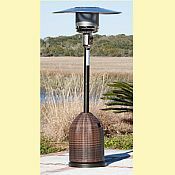 Our patio heaters are not only very attractive and easy to maintain, they are also solidly constructed and very safe to use.